A PARLIAMENTARY task force has unveiled the conclusions of its preparatory work on the social security reform to be launched in Finland between 2019 and 2023. The task force highlighted yesterday that social security benefits and services have diverged over time, while changes in the age structure are undermining the sustainability of the social security system in Finland. “Employment and technology-related changes have brought about a wider variety of situations in life and livelihoods that are challenging the flexibility of the system,” it stated on Monday. 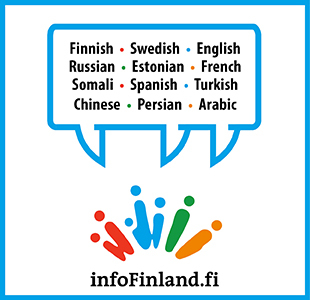 Growing and prolonging reliance on social assistance was identified as a particular problem in Finland. The task force stated that although social assistance was originally designed as a short-term and last-resort benefit, one of the current special characteristics of the system is that social assistance is used increasingly to supplement the primary, means-tested basic social security benefits. “This is a sign that the system is not working how it was originally intended to. This will definitely have to be addressed,” commented Liisa Heinämäki of the Prime Minister’s Office. The task force believes the social security reform should be based on five basic objectives: satisfying the constitutional obligation to provide indispensable subsistence; supporting employment, activity and lifelong learning; improving the integration of social security benefits and services; supporting the balance between individual rights and obligations; and establishing a system that is clearer and easier to understand. As the preparatory work was launched to facilitate the upcoming political decisions, the task force also outlined three alternative social security models, two of which are based on means-tested benefits and one on basic income.